Singapore Airlines is offering special prices on flights from Bangkok to major cities in Australia and New Zealand. Promotional roundtrip fares include THB23,045 (USD765) to Perth, THB28,125 (USD935) to Melbourne, THB28,720 (USD955) to Sydney, and THB37,560 (USD1,250) to Auckland. Prices include taxes and airline surcharges. These fares are available until June 30, 2011. Starting from May 1, 2011, Nok Air will fly from Bangkok to the southern city of Hat Yai six times every day. Promotional one-way fares start from just THB1,190 (USD40) inclusive of taxes and surcharges. 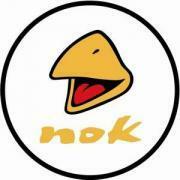 Nok Air is a domestic carrier and also flies to Chiang Mai and Phuket for similarly low prices. Promotional fares are available until sold out for valid for travel until September 30, 2011. Budget carrier Air Asia has increased the frequency of their flights from Thailand to Malaysia and Singapore. 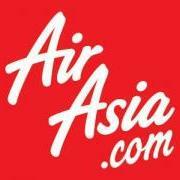 Starting April 1, 2011, AirAsia will fly from Bangkok to Singapore four times daily. Additionally, Air Asia now flies direct from Phuket to Kuala Lumpur four times daily. 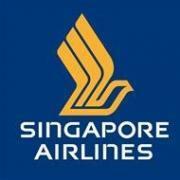 One-way fares start from THB1,050 (USD35) to Kuala Lumpur and THB2,090 (USD70) to Singapore. Exploring all of Thailand’s diverse provinces is easier than ever with the “Discover Thailand’ air pass from Thai Airways. For just USD278 the pass entitles travelers to 3 domestic flights within a period of 3 months. Destinations include Bangkok, Chiang Mai, Phuket, Krabi, and 7 more cities in all corners of Thailand. This promotion is available until December 31, 2011. 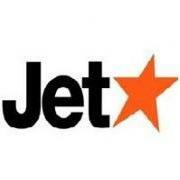 Jetstar is offering special prices on flights from Thailand to Australia and Singapore. One-way fares to Singapore start from just THB1,600 (USD52) and one-way fares to Australia from THB7,900 (USD255) plus taxes/fees. Departures from Bangkok or Phuket are available. This is an on-going promotion and special fares are available during selected periods throughout 2011. Thai Airways is offering special fares from Bangkok to international destinations during the “I Fly Thai” promotion. Sample fares include Singapore for THB5,000 (USD163), Hong Kong for THB6,630 (USD215), and Sydney or Melbourne for THB17,500 (USD 565). Quoted prices are roundtrip economy fares and do not include taxes or surcharges. This promotion is valid for travel until March 31, 2011. Thai Airways has announced they will be offering direct flights from Bangkok to Male, Maldives, through a code-share arrangement with Bangkok Airways. They will offer three flights per week with return fares starting from THB21,000 (USD690) inclusive of all taxes and airline surcharges.